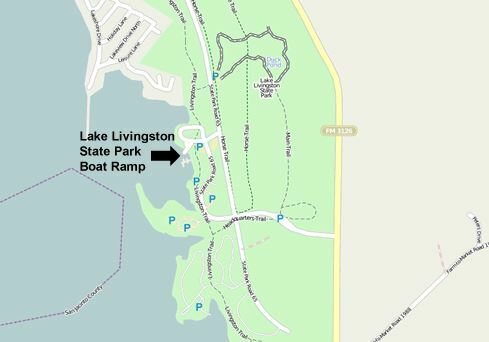 There are a lot of boat ramps around Lake Livingston. Some are free, others you will have to pay a fee. 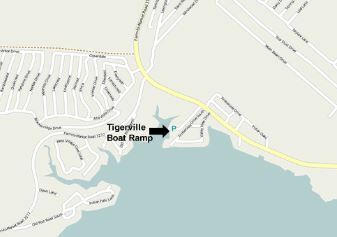 Many of the Marina’s also have boat ramps. 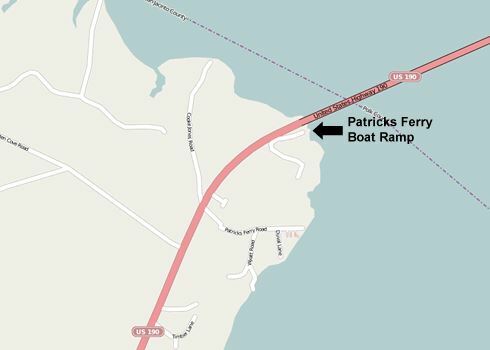 Since the lake is so large, it is a good idea to put your boat in the water near what you want to do. From Livingston take FM 2457 all the way to the end of the road. From Huntsville take US 190 toward Livingston. In Point Blank turn right on FM 156. 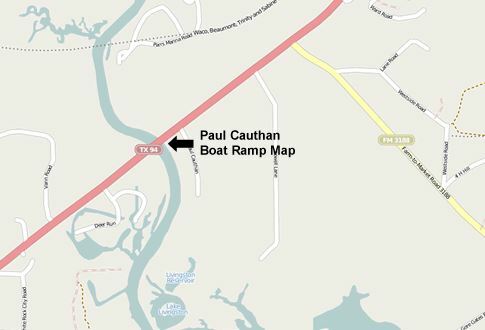 At intersection go straight to the boat ramp. From Huntsville, take US 190 toward Livingston. 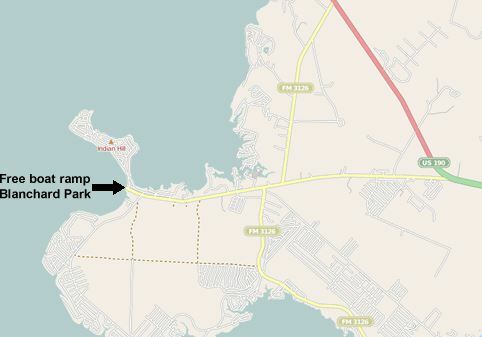 The ramp is on the right before the bridge. From Trinity take Texas 94 east approximately 3 miles and cross the bridge. 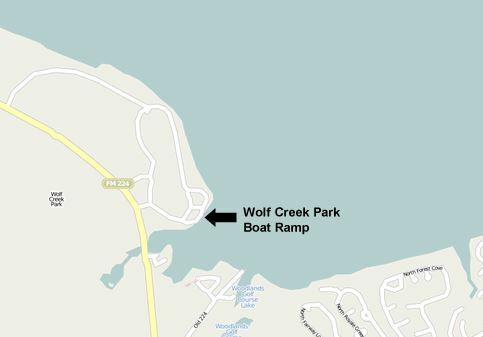 The boat ramp is on the right. From Riverside, take Texas 19 north 10 miles. 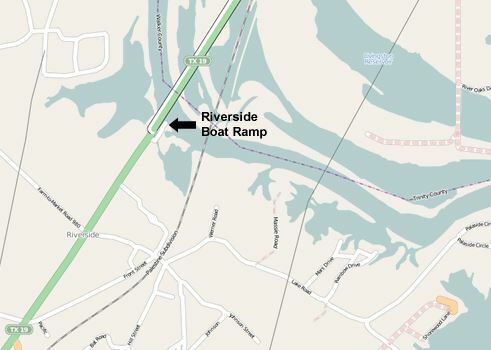 Boat ramp is on the right before the bridge. From Livingston take FM 2457, turn left on FM 3126 to the park. From Livingston take US 59 south. Turn right on FM 1988, then turn right on FM 3126 to the park. 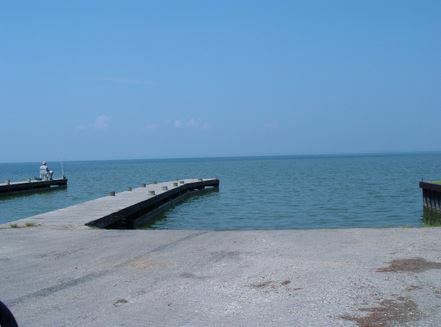 From Coldspring take Texas 156 north approximately 1 mile, turn right on Hwy 224 and travel 5 miles to the marina.